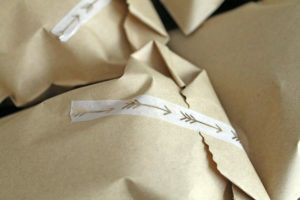 Yesterday, I shared the details of the Mother Daughter Crafternoon I hosted last week (click here if you haven’t read it). 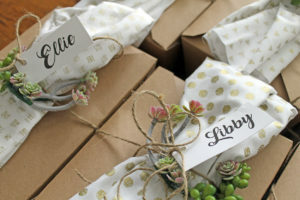 If you did read it, you know that we created terrariums and then enjoyed summer style boxed lunches. 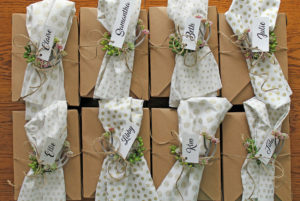 I made two different sets of lunches…one for the moms and one for the daughters. 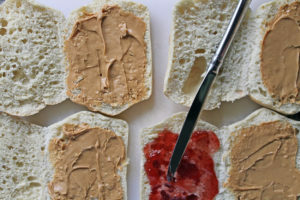 For the daughters, there was definitely more kid fare on the menu…mixed berries, baby carrots with hummus, peanut butter and jelly sandwiches, and potato chips. 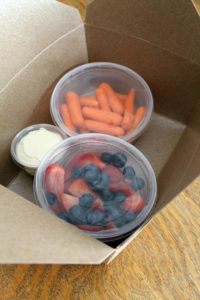 The berries were cut and placed in plastic containers, as well as the carrots. 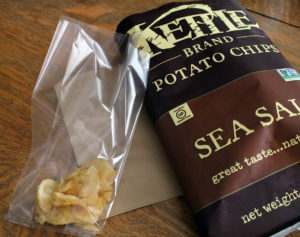 The potato chips were poured into plastic bags, and the plastic bags were put inside brown paper bags and secured with washi tape. 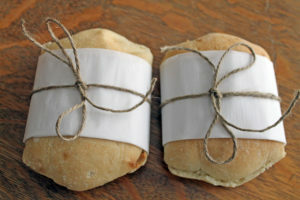 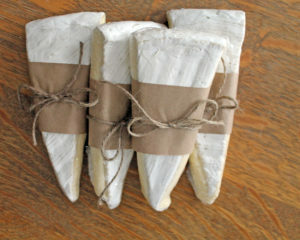 The sandwiches were made using artisan bread…once assembled, they were wrapped in parchment paper and tied with jute. 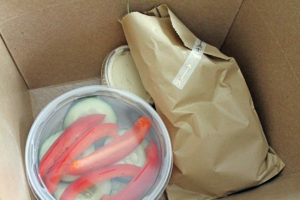 The moms’ lunch consisted of cherries, cucumbers and red peppers with hummus, French baguettes, and Brie. 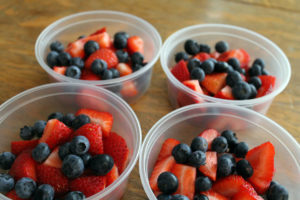 The veggies were cut and placed in plastic containers. 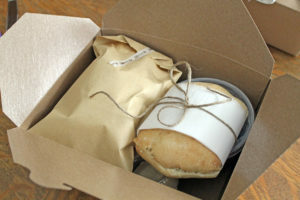 The cherries were put in brown paper bags. 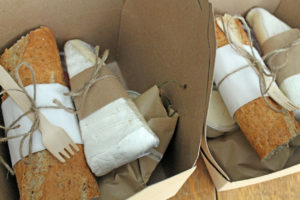 The baguettes were wrapped in parchment paper and tied with jute, and the Brie was wrapped in brown kraft paper and also tied. 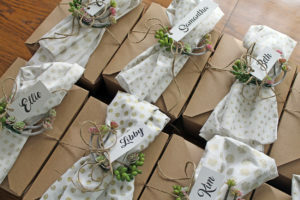 Once all the items were placed in the brown kraft boxes, cloth napkins were attached to the boxes with succulent napkin rings and tied with jute. 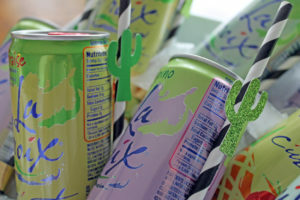 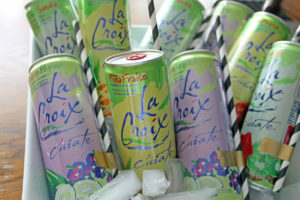 Various flavors of La Croix, with cactus straws attached to the cans with washi tape, were served for sipping on this hot and humid summer day. 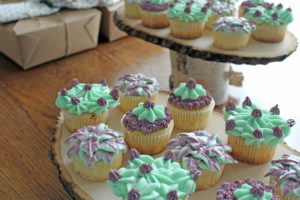 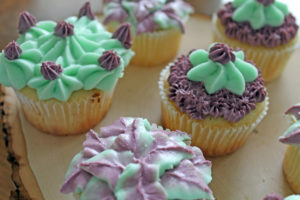 Succulent cupcakes were offered as a sweet ending to the boxed lunches. 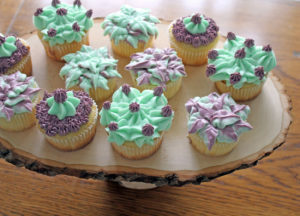 These were too pretty to hide in a box, so I plated them on wooden bark pedestals. 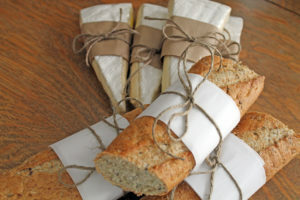 A simple lunch made more special by the presentation!